I love learning new things and when I was asked if I would like to Study At Home with NCC Online* I jumped at the chance. There is such a huge choice of courses to study, either online or on paper and all are fully supported by a tutor. The courses range from becoming a Wedding Planner to Forensic Science; Autism awareness to Teaching Assistant. Each course describes the amount of previous knowledge needed so it is easy to pick the right one for you. In fact I am sure there is a course for everyone. I have been researching my family tree for about 8 years and would love a recognised qualification so I chose the diploma in Genealogy. The course is designed for people with no knowledge at all so I do not have to worry that it will be too difficult for me. 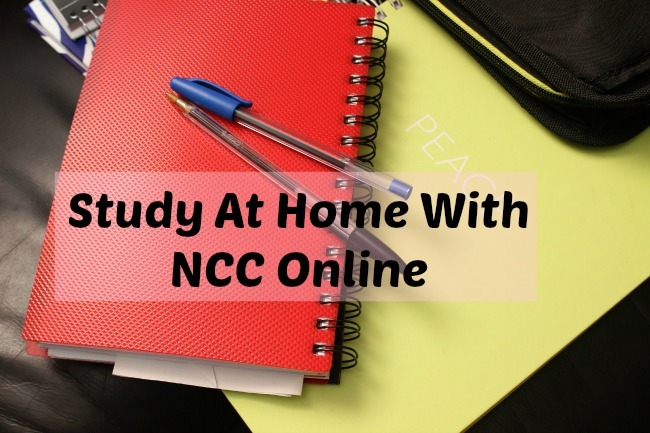 Why Study At Home with NCC Online? Unlike classroom based courses home learning can fit around other commitments like childcare or work. An hour here or an afternoon there. It suits my lifestyle as I can fit it around caring for my grandson. I also do not have to spend time getting to and from a venue. Studying at my own pace has so many benefits. If I find a module is easy then I can whizz through it and on to the next, if it is difficult then I can take my time. Whenever I have some free time I can dip into the course and do a little more. The courses themselves can be paid for in one go or in instalments and home learning can be fitted around work so no need to have loans or to cut working hours. Busy people always seem to get so much done I am sure it's because they manage their time well and do not waste time deciding what to do. The courses are set out in modules that I just have to work through, so no spending ages deciding what to do next, allowing me to manage my time effectively. Self discipline? I am a little bit of a procrastinator so it will be interesting to see later in the course if I have developed any self discipline. The Genealogy course is divided into 10 modules and I am particularly looking forward to Module 2 - Career or Hobby as I have never thought about a career in Genealogy and also Module 10 - What To Do With Your Findings and How To Write Up a Family Tree. I have so much information about my ancestors that I just do not know how to organise or how to make sense of all the information. This looks like an in depth course that will require some serious study on my part. When I have completed the first few modules I will have an idea of the amount of time I need for the course and if my reasons for studying at home were realistic and correct. Are you a Jack of all trades and master of none? Why not have a look at the NCC Online website and see if they have a course for you? This sounds like a fab course, and so interesting to look into your family tree. A relative on my father's side has gone a few generations back and I'd love to add my mother's side of the family to it. Although the course in wedding planning would be amazing! I'd love to do that! Wedding planning would be great but I just do not know where I would find time to plan a wedding! There were so many to choose from it was difficult to make a final decision. I love studying, I've done a lot in my time, from local college courses to a degree and PGCE. Studying from home is a brilliant idea and so flexible. I love it too, but I'm a great starter not so good at finishing so wish me luck with this! I absolutely love studying and learning and how fabulous that you can do it at home now. It sounds like a really interesting course, I can't wait to see how you get on. Wow, ilove how varied the courses are! I am always thinking about studying again but never feel inspired enough. I am gonna have a browse. I love that you can do forensic science!!!! I know, how tempting is that! I'd love to learn another language but I have never had any success. I do love learning new things though, I'm already looking forward to doing another course. As moms we tend to forget ourselves because we are busy taking care of our family and children. Once our children are all grown up, it's only rightful that we do things for our own, like going back to school or doing some part time work such as the ones from http://www.papersboard.com/college-papers-online.